I am among those thousands of people who are not so fond of their lashes. Mine are black and thick at the root, nonetheless, very short and not so noticeable. A mascara does help, of course but the oomph that I want, the fluttering feel, the length, the volume, the glamour, and a tiny bit of fakeness is not any mascara’s cup of tea. And it is kind of hard to believe, but before these Ardell eyelashes I have only tried a pair of of Glossybox eyelashes which are fakeness ten on ten. Ardell unfortunately is not available in store here in Germany. Eylure recently came to town but with quite high prices. So you can all imagine my utmost delight when I heard about Eyelashes Unlimited. 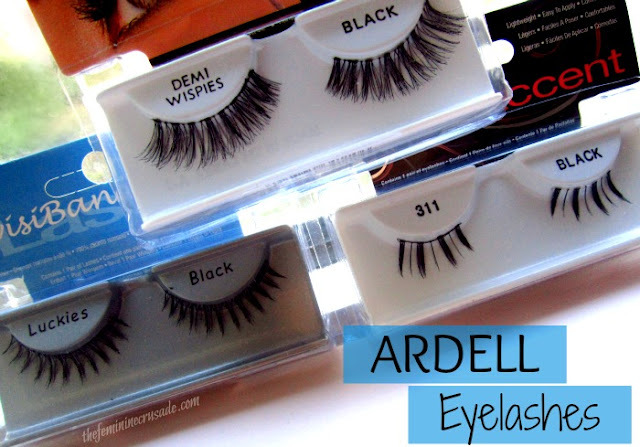 Compared to ebay and amazon and even the local drugstores in USA like Target, they sell Ardell eyelashes at the cheapest price. And they have a HUGE variety to choose from. Their shipping was super fast too, considering the package came all the way from USA, it arrived at my doorstep in a week! Demi Wispies and Luckies are part of Ardell’s Invisiband collection, the band is invisible that you do not need a thick eyeliner to blend it in. All three are very lightweight. They are made of human hair which makes them very natural. They blend so beautifully and you don’t scamper around feeling uncomfortable in the eyes. So yeah when people tell you, Ardell is their favourite eyelashes brand, they mean it; since it is so inexpensive and delivers great quality. "These lashes feature an invisible, lightweight band that connects the hair strands to form a strip that ensures secure corners. They are knotted and feathered by hand for perfect uniformity, absolute comfort and an outstanding natural look." Everbody talks so much about these Demi Wispies. So I have always wanted to try it. Demi Wispies for me are by no chance everyday lashes or for casual lunches and get-togethers. Though I do know many find them very natural-looking, but I don't. They are quite long, voluminous at the roots, fluttery at the ends and VERY dramatic. For a bride, they’d be PERFECT! And even for wedding functions, clubbing or glam events, they’d look beautiful. However, I was expecting them to be a little less attention-catching. Despite their dramatic-ness they don't feel heavy. Ah my favourite out of the bunch! So natural yet quite fancy. They give me a huge amount of volume and a length that is not over the top. I would say a full, plush look! These are the kind of lashes I have dreamt of always having. I even worn it out for a day, just a casual day and they looked so gorgeous. I didn’t even want to take it off since they made my eyes look so pretty. They felt so comfortable, weightless and blended so well. Jeez guys I know I am going to get super addicted to these! 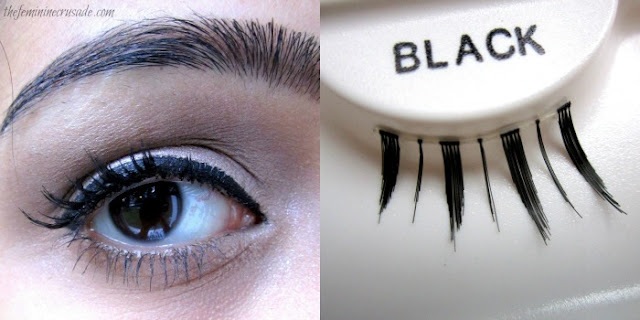 I find it so cute when people wear eyelashes only at the end. They give a curve-y edge to your lashes and a cute and quirky look. 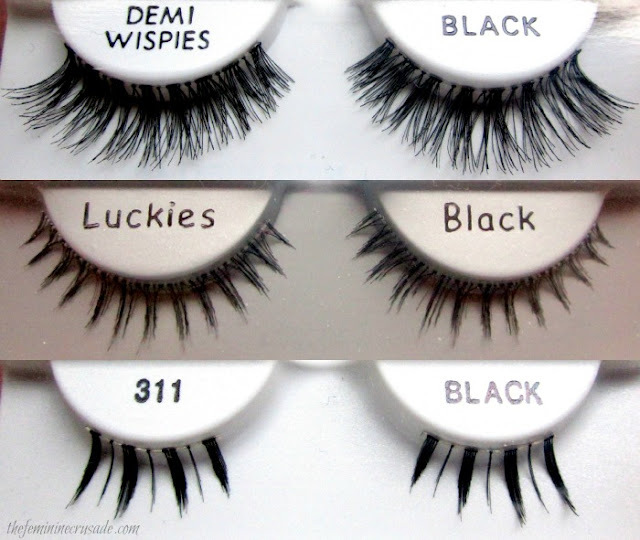 311 however are not the most natural-looking of Ardell Accent Lashes. But still more natural than Demi Wispies to me. The band on this one is a little thick and noticeabel which I covered with a black eyeliner on top. Surprisingly, for a beginner, all the lashes were very easy to apply. I always found the thought of wearing eyelashes scary. Especially, seeing all the ones that look so fake and unappealing. But trust me guys, with the right kind of lashes, you can make a world of difference to your eyes. Not that I am saying, you have to wear it everyday, but for special occasions you will all love how they make you feel.